Sometimes product lines take a while to become a success. 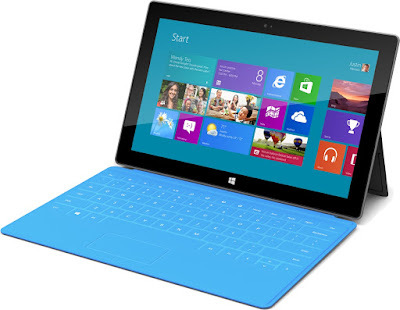 The Microsoft Surface range of hybrid tablets is one such example. Sitting in the gap between traditional tablets and laptops, the original Surface (later renamed as the Surface RT) was a very elegant and modern looking device running a version of Microsoft's then new Windows 8 operating system (called Windows RT). Unlike most Windows systems, the original Surface ran on an ARM processor rather than an Intel compatible one. This put the Surface more on the tablet side of the fence - the slightly later Surface Pro had an Intel CPU and was just on the laptop side of the fence. 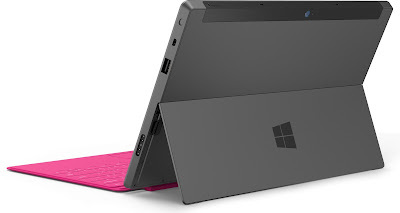 The Surface was originally pitched against the iPad, but one key difference was the detachable keyboard that the Surface could use. Another one was the kickstand to keep it upright. Of course, this was a Windows device.. And more to the point, it was a Windows RT device which meant that it could only use applications from the Windows Store. And it turned out that there weren't many of them to choose from.. The Surface came with both front and rear cameras, and you could plug USB devices into it which is impossible in most other tablets. It was also very stylishly designed, and the clip-on keyboard was another unique selling proposition. Windows RT was theoretically more capable that iOS or Android, but in the event it never got to shine. Despite some promising features, the original Surface was not a success… and neither was the Windows RT operating system. Sales were sluggish and Microsoft ended up writing off nearly a billion dollars worth of unsold inventory. Windows RT was just too restrictive for many, and after about six months there were no new devices from any manufacturer launched. However, Microsoft stuck with it. One key change in later versions was the switch to an Intel architecture, a move upmarket to something more laptop-like and a full version of Windows. After five years of trying, the current range of Surface devices are something of a success at the premium end of the market. The Surface was not Microsoft's first foray into the hardware market - it has been producing mice, keyboard and consoles for years - but it was their first product of its type. It may well have been instrumental in persuading Microsoft that they could "do" hardware which the disastrous 2014 takeover of Nokia proved otherwise.